There is no point discussing that whether IITians or NITians only get better marks, or if this Engineering Services is for them only. Anyone can qualify, who has patience, who has dedication, and the talent. This perception is completely wrong because I have done my B.Tech from Kalinga Institute of Industrial Technology, Bhubaneswar, he added. 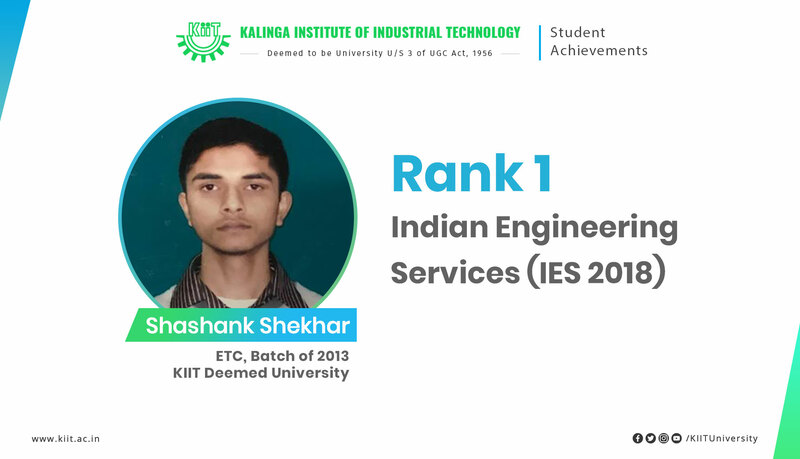 Congratulating Shashank for his success, Dr. Achyuta Samanta, Founder, KIIT & KISS said, the success of Shashank proves the quality of teaching and educational ambience in KIIT. Prof. Hrusikesh Mohanty, VC, KIIT Deemed University; Dr. Sasmitarani Samanta, Registrar; faculties, students and staff also congratulated Shashank for his success.